Is your next destination South Australia? American River is the greatest spot to stay and this lodge will make your stay memorable. Mercure Kangaroo Island Lodge is economical accommodation that is the premium for your accommodation needs. 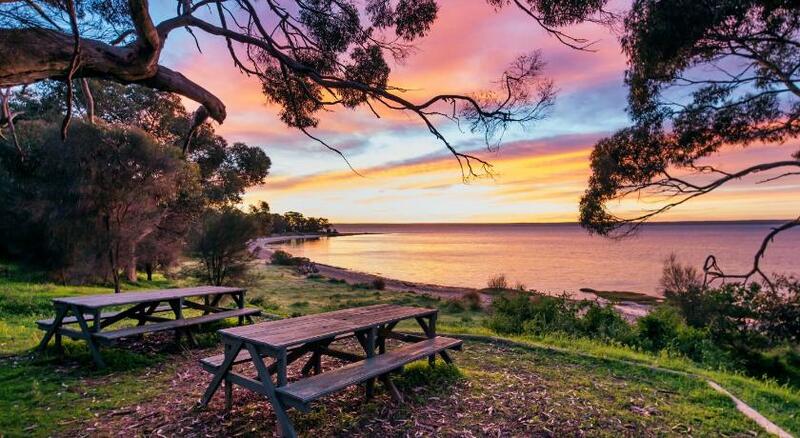 Featuring accommodation with pool or water views, the Mercure Kangaroo Island Lodge is surrounded by the native natural landscape and overlooks Eastern Cove. Guests can enjoy a restaurant, a bar, a swimming pool, sauna, tennis court, nature trail and pelican feeding. Each air-conditioned room boasts a fridge, a flat-screen Television and a private restroom. Some rooms also have a kitchenette. In-room WiFi is available in all rooms. Reflections Restaurant is open for breaky and dinner, and specialises in the best regional produce. The bar is the perfect place to enjoy a cool drink on the terrace in summer, or warm up by the fireplace in winter. Kangaroo Island Lodge is a 30-min drive from both the Kingscote Airport and the Ferry Terminal at Penneshaw. This property has been online since Jun 21, 2012.